The pyrometer of PYROSPOT series 10 is equipped with four buttons and display. The pyrometers of PYROSPOT series 10 are etablished in industry and research. These devices enable non-contact temperature measurements from 0° to 3000 °C. With a response time t95 from 1.5 ms, they are also suitable for very fast measuring tasks. Sensitive semiconductor infrared sensors and special pyroelectric sensors from our own manufactoring ensure high accuracy. Vario optics with a very small measuring field diameters from 0.7 mm allow optimal adaptation to local conditions. To align the pyrometers to the target, series 10 pyrometers have either a LED or laser pilot light, a through-sight, or a color video camera. Thanks to control buttons placed directly on the device, the complete parameterization of the pyrometer can be realized on site . An integrated, easy-to-read display is used to show the measured value and parameters. A variety of accessories also allow operation in harsh environments, such as cooling housings, air purge attachments, and special ATEX explosion-proof enclosures. A special highlight of PYROSPOT series 10 is that there are various spectral ranges available. From a physical point of view, temperature measurements should be operated as short-waved as possible to reduce failures due to emissivity reasons. In addition spectral ranges should be used in which the target ‘s emissvity is high and the environment has only less disruption. This was realized fully with PYROSPOT series 10. The overview shows the different device types with associated temperature measuring ranges, spectral ranges and application examples. “Blue” also lists available quotient pyrometers that are suitable for measurements on objects with variable or unknown emissivity and work in two, directly adjacent spectral ranges. All pyrometers of PYROSPOT series 10 have a temperature-linear 0/4 to 20 mA output, a galvanically isolated RS-485 interface (data protocol Modbus RTU) and also a galvanically isolated switching output. Thereby an easy implementation into measurement and control systems is possible. For integration into local networks the Ethernet Interface Box called DCUIoP is available. With it, a wireless parametrization of the pyrometers can be set. Thanks to the powerful software PYROSOFT Spot and PYROSOFT Spot Pro the evaluation and further processing of the pyrometer data can take place. At the same time, the parameterization of the pyrometers can also be carried out with the help of this software. Within the PYROSPOT pyrometer series 10 further special pyrometers are available. These include digital transfer radiation thermometers. 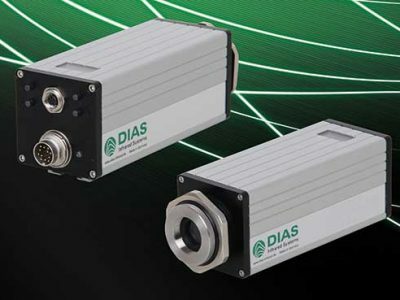 These are particularly long-term stable and highly accurately calibrated devices that have been designed for the inspection of calibration emitters and for the traceable calibration of infrared temperature measuring devices in the temperature range from 0 °C to 2500 °C. Another example is the device type DGA 10N with a narrowband spectral range around 0.88 μm. It is specially designed for temperature measurements starting at 400 °C on silicon. 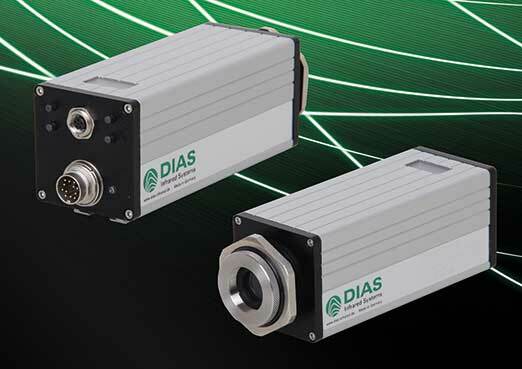 Also for applications on metal surfaces, which are processed by laser, the pyrometer DGA 10N is ideally suited. The wavelength of many lasers is outside the spectral range of this pyrometer, so that the temperature measurement is not influenced by the laser. The additional use of usually expensive laser cut filter is thus obsolete. Contact our sales engineers if you have any questions!